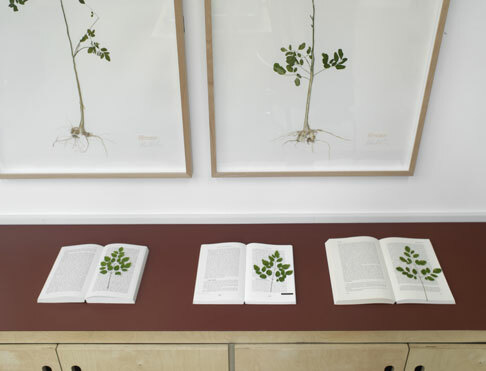 The work that emerged ‘Synthia II (code / soil / life)’ consisted of a soil constructed by shredding the genetic code (634 pages) of Craig Venter’s synthetic life form ‘Synthia’. 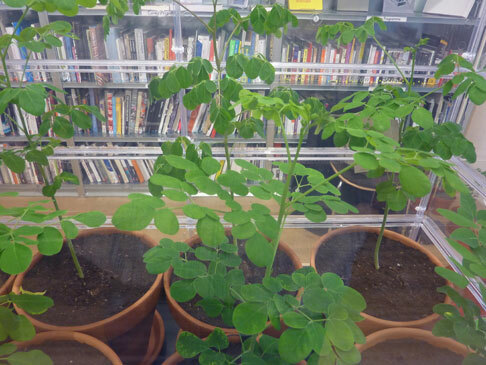 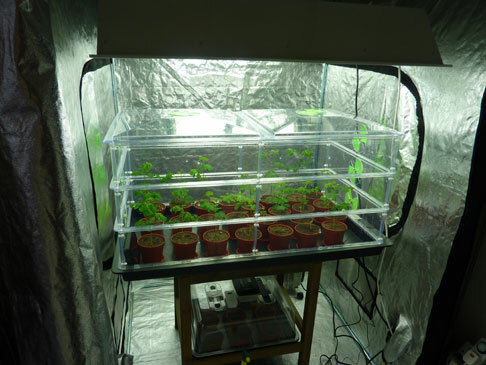 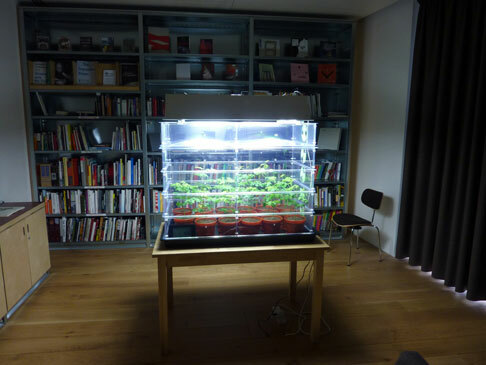 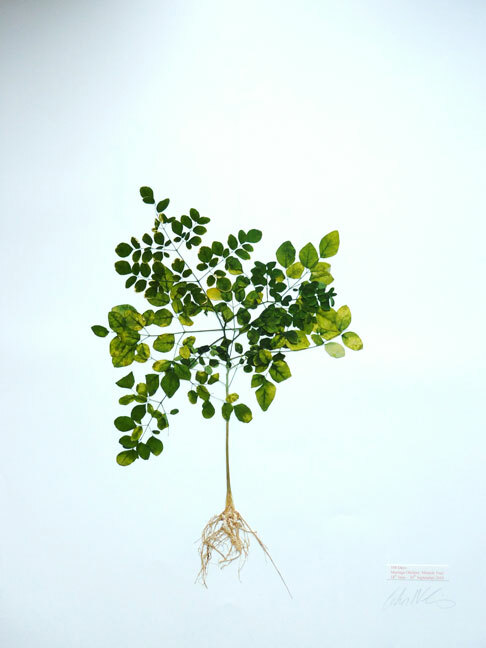 Growing in the soil was a Moringa Oleifera tree germinated by Newling in his studio. 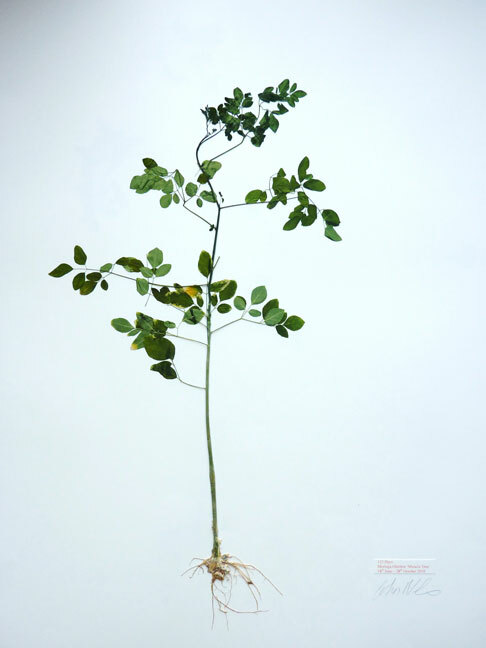 During this time Newling germinated and attempted to grow 11 of these ‘generous’ trees. 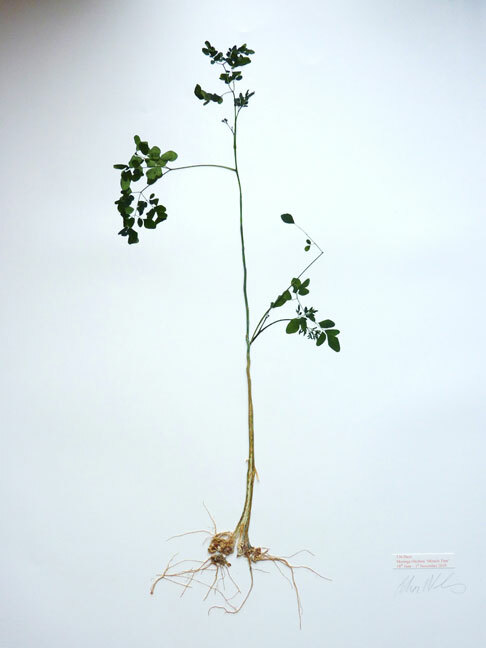 Often referred to as the Miracle Tree, the Moringa Oleifera is native to the southern foothills of the Himalayas in northwestern India. 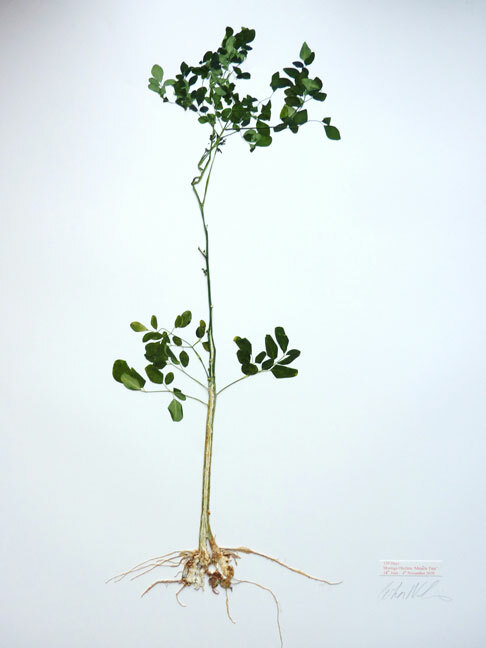 Gram for gram, Moringa leaves contain: seven times the vitamin C in oranges, four times the calcium in milk, four times the vitamin A in carrots, two times the protein in milk and three times the potassium in bananas. 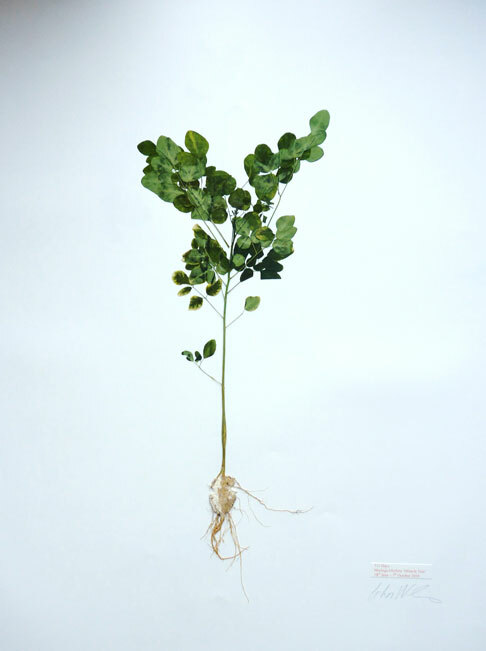 It is for this and other extraordinary properties of this tree that it has been referred to as the world’s most generous tree. 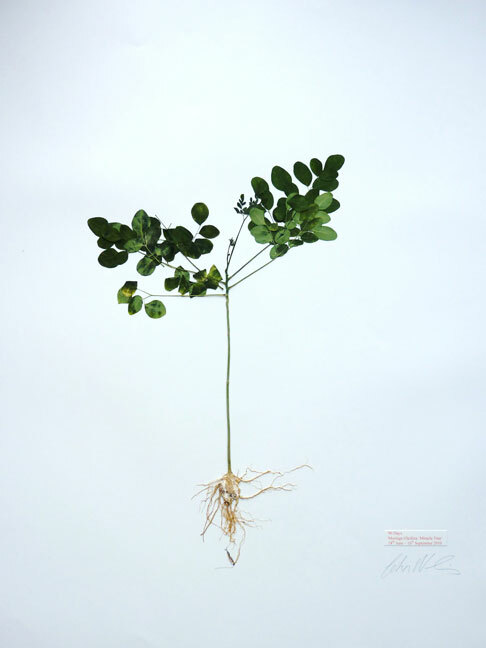 As part of his research Newling has been closely observing the growth of the trees and making pressings of the Moringa leaves and complete trees. 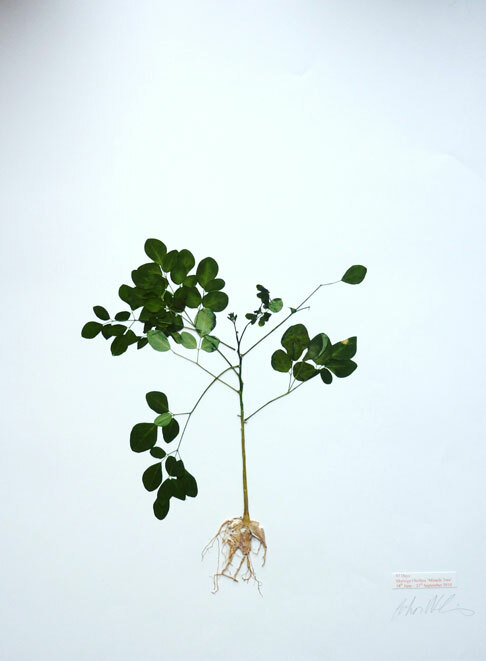 Leaves from the Moringa are pressed in selected books and the work is complemented by a video documenting Newling’s recycling process of making the soil from which the Moringa grows, caring for the plants, and pressing their leaves. 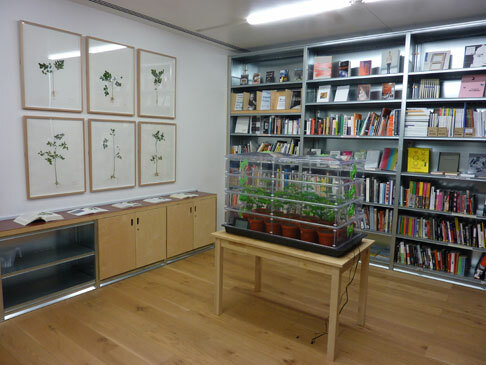 This work is on view from 22 January until 27 March 2011. 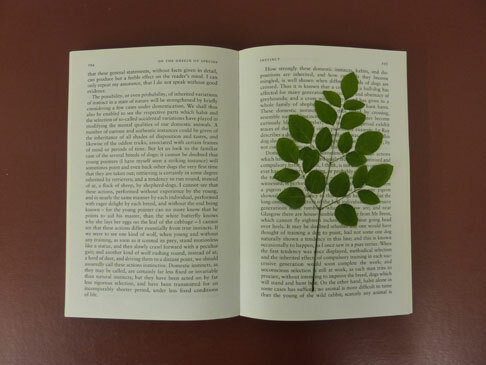 This is the first in a series of artist’s interventions in the Study.